At Patchfinders the other day I needed to get some interfacing and then I couldn't help but bring some of this gorgeous print home to add to my green tea and sweet beans quilt fabric stash. Silly me has totally forgotten what line it is so unless someone knows and can tell me I will check when I'm next in work! There's something about it that I really love, though it's not my usual style and I generally don't even like red?! 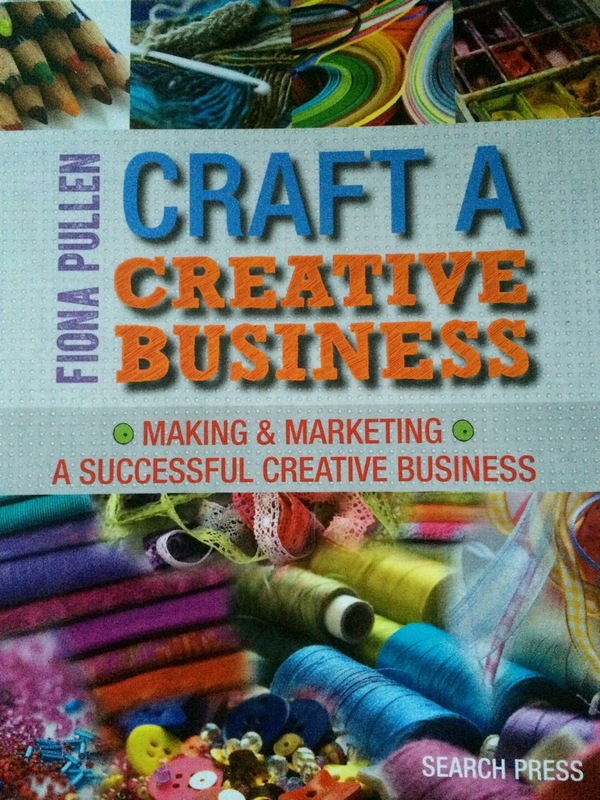 This week I was thrilled to have won a copy of Craft A Creative Business by Fiona Pullen at Lily's Quilts. Thanks Lynne, Fiona and Search Press! Once I've had a good read I will be doing a review so stayed tuned for that. I made a start today and I'm hoping this will become a project that I can teach... we'll see! Molli Sparkles hasn't been well :( but I'm Sunday Stashing anyway because it helps me keep track of what I've bought. Hope you feel better very soon! Hi! 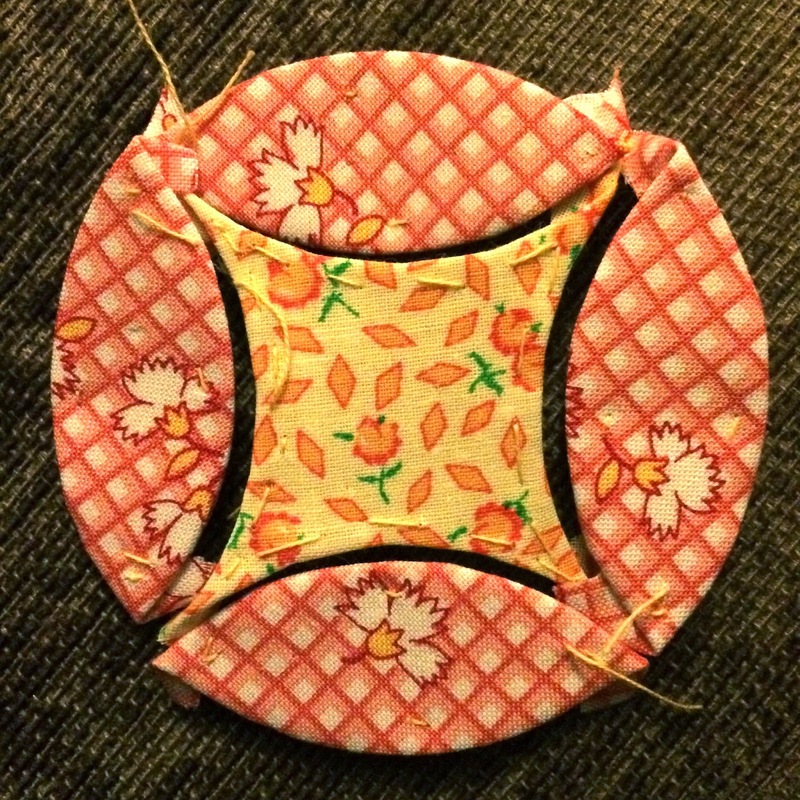 Your EPP project looks lovely. The bought pieces are much more precise than cutting our own. Have fun! Your EPP project is gorgeous! Love those shapes! 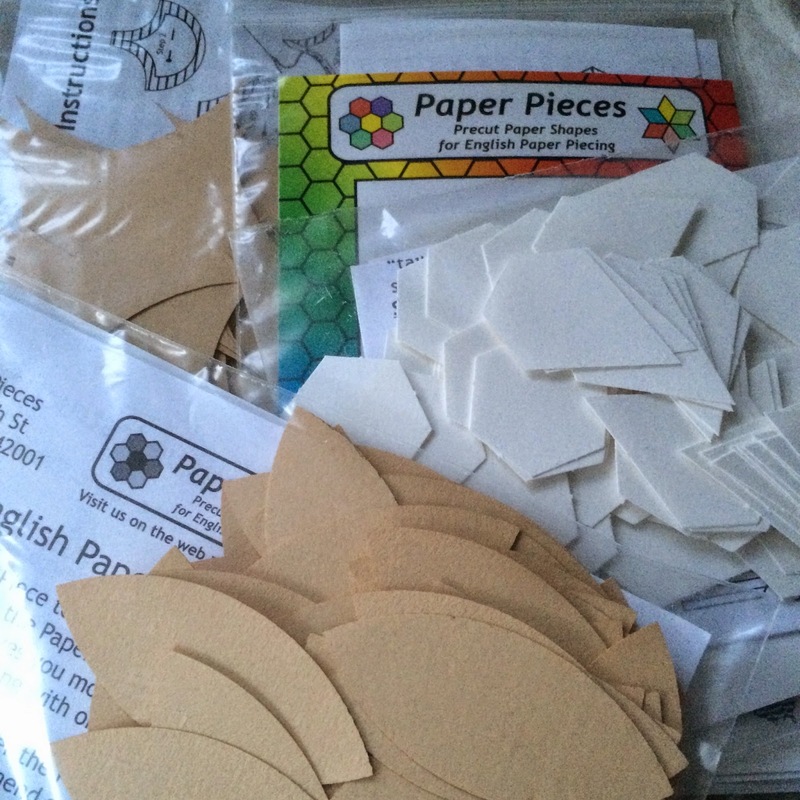 I should really buy my paper pieces pre made. Even though Ive used the one source my photocopies come out different by the thick end of a cats whisker or a millimetre! I have 3 hexi covers on the go and each one has an ishy difference in hexi size - heavens knows what Ive done in the photocopying, but Ive begun blaming the pixies!! I like those EPP curves as well. Nice job! i've been a little afraid of epp curves but these look great, lucy! so cute. I want to know the name of the fabric too! I love modern retro prints! How's the sweet tea quilt coming along? I love to see your epp. Are the clam shell templates hard to keep control of?